Landing in Tokyo feels like being reborn into parallel universe. It's culture shock, in the best way imaginable. What greets you post customs gate, is a carefully refined, subtly quirky city of contrasts. Neon lit, technologically driven yet embedded in tradition and etiquette, which play a major part of modern life in Tokyo. Exhilarating, yet completely devoid of chaos. If you’re a fan of Jiro Ono the incredible chef and sushi master, you might have heard him attribute his success to doing the same thing over and over, improving it bit by bit. This is something I found central to understanding Japan’s culture. If you find it confusing at first, you simply haven’t figured out the logical principle behind what you’re attempting to understand. On my first visit to Tokyo, 7 years ago, I really struggled with grasping the inner workings of the transport system. A few late night wrong connections, a not so ideal travel companion and plenty of tears, it was something that stuck with me for the next visit. World renowned for their efficient trains, I was on a personal mission to not get lost this time around. I looked for signs and information, much in the same way I look for them here in Sydney - give me everything I need to know to understand where I’m going. Which works on one level because the system here isn’t as evolved or considered. Three days in and already too much precious holiday time wasted on getting lost, my partner and I figured out the system. Colour coded and individually numbered train stations meant that all unnecessary information could be omitted. 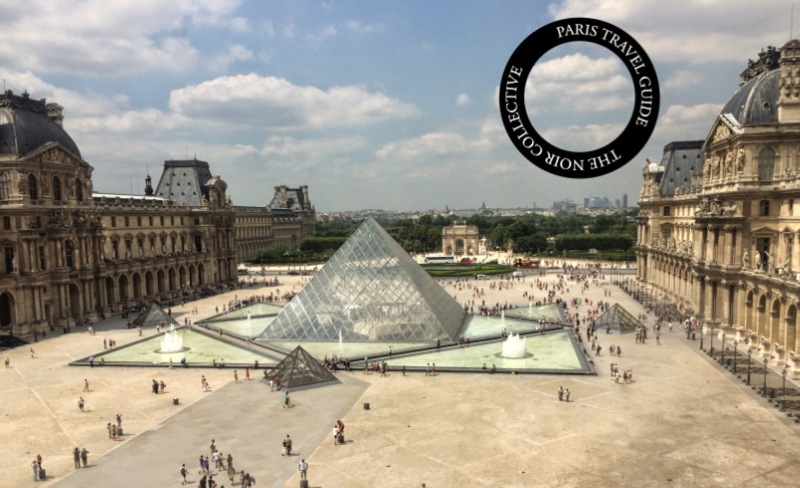 You follow this key to guide yourself through a labyrinth of tunnels and interchanges, dozens of travel combinations narrowed down to your specific journey for that day. Similarly everything in Tokyo has a purpose, utilitarian objects are beautifully decorated and seemingly aesthetic objects all play part in benefitting a process or forming a ritual. The simple pleasures behind the logical connections you’ll find in Tokyo, once you understand them, feel like finishing a 750 piece puzzle with a mild case of OCD - deeply satisfying and utterly zen. Also all of which could be understood a lot easier had I read a city guide before leaving. You know, if you’re the type of person that isn’t into simultaneously confusing all of your senses and battling a language barrier. Nonetheless, I felt like a city guide was in order simply because no other city guide I read for research after left me feeling like it captured what Tokyo was all about. With most urban cities, the landmarks and must do’s give a fair overview of the lifestyle you’re about to stumble upon. 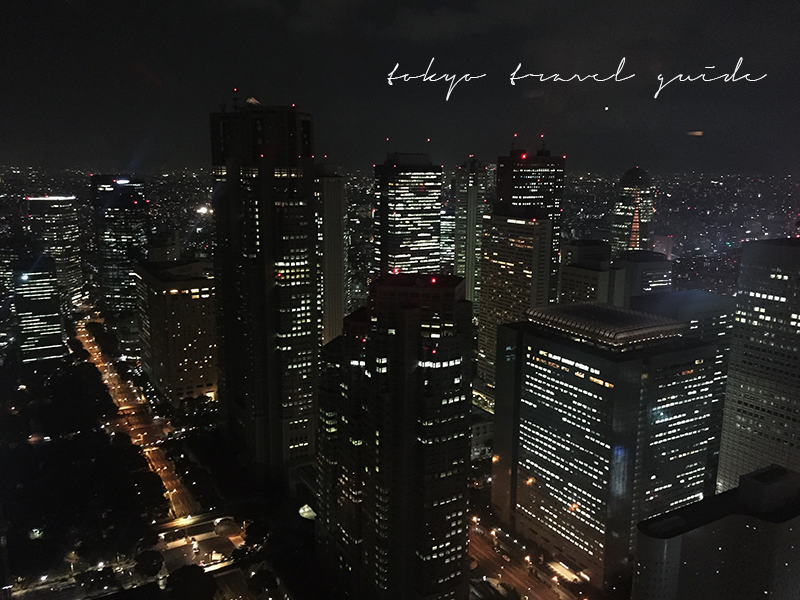 In Tokyo however, the essence of the city is only apparent after you submerge yourself in the old and new. The food, the design, the architecture and the day to day suburban life although seemingly busy and complex always pay homage to the beauty of simplicity. If you like spending too much time perfecting your favourite vice, this city is for you. STAY Like with most urban cities I visit, I look for neighbourhoods just outside the main city bustle but still walking distance to the hotspots. 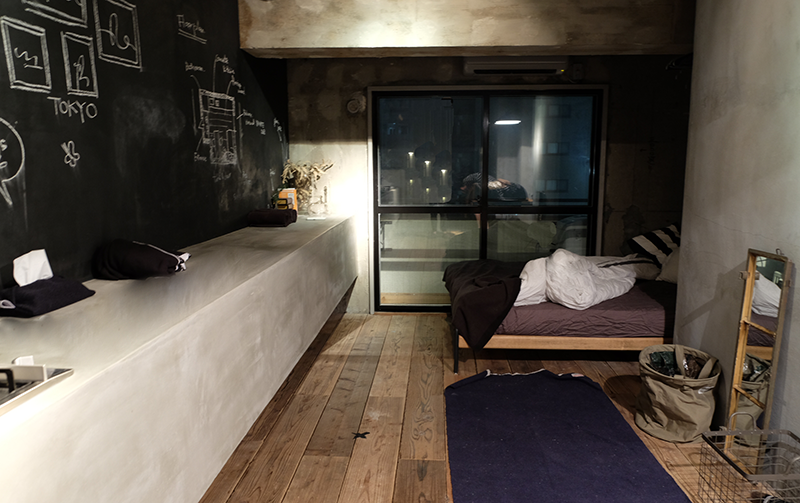 We chose to stay on the outskirts of Shibuya for this trip. Quiet apartment blocks and miniature lush green parks lead into an array unassuming noodle bars, shopping centres and late night arcades the closer you get into Shibuya’s centre. Harajuku is within walking distance, so is Roppongi’s nightlife. 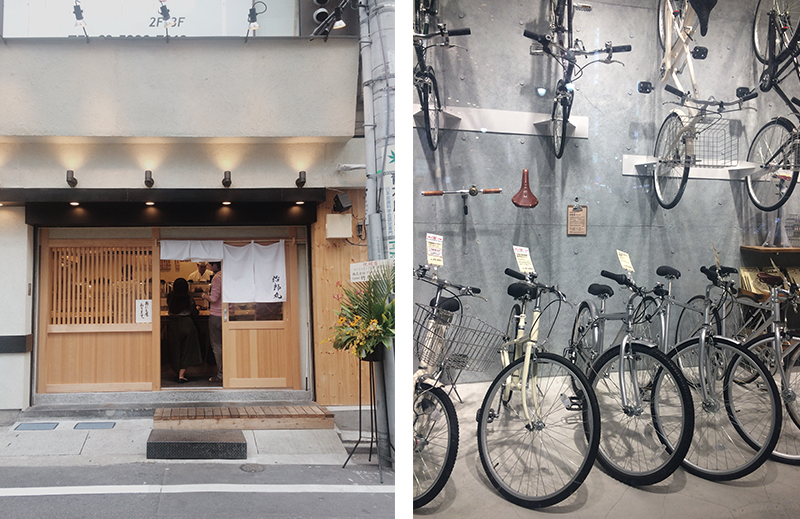 If you prefer a quieter suburban stay, opt for Aoyama. With its nouveau French influences, the upscale residential neighbourhood is dotted with boutique coffee shops like Maison Kitsune and is home to fashion flagships like Isabel Marant and Acne Studios. Omotesando’s grand architectural buildings can also be found nearby. Most apartments are small, but well equipped for a short trip. Alternatively, book a stay at the iconic Park Hyatt. Entry to the New York Bar comes free with your room, expect jazz, english speaking tourists and the best panoramic views of Tokyo. SHOP What makes shopping in Tokyo so memorable are the unique, arty touches in every boutique. High-end or high street no other city is quite as good at building brands and selling their lifestyle. Visit the Prada flagship in Aoyama for it's jewel like architectural tower designed by Herzog & de Meuron. Alexander Wang, Celine and Comme Des Garcons also had strikingly intricate facades and interiors. Just a short walk from Shibuya's vibrant and hectic centre is Cat Street, full of eclectic boutiques en route a cobblestone lined path. Opening Ceremony's four floor boutique is reminiscent of a candy coated warehouse. Customise a pair of Converse's at their White Atelier. Eat what can only be described as the best lobster roll of your life with not the slightest bit of exaggartion at Luke's Lobster. One brand I really fell in love with (and visited each one of their boutiques in Tokyo) was Beauty & Youth. The elegant, design-focused pieces at B&Y really stood out amongst the ultra minimalist or overly feminine trends circulating other boutique Japanese brands. The design aesthetic resonates a timeless and clean capsule wardrobe, I stocked up on cashmere jumpers & wool coats whilst carefully contemplating over their selection of Acne boots and Jerome Dryfus bags. What really resonated with me is how carefully curated the stock in each one of the boutiques was; carrying across key seasonal items the majority of the products were unique to each of the store reflecting the demographic of each neighbourhood. Their men's department is also fantastic, my partner's purchases made their way into my suitcase as I ran out of clean clothes on the trip. Dover Street Market is another Tokyo bucketlist visit. Comme des Garcons’ creative director Rei Kawakubo brought the concept store to Tokyo, synthesising avant garde art and design in a seven floor complex housing the likes of Maison Martin Margiela, Nike Lab and Celine amongst works of Andy Warhol and Jean-Michel Basquiat. Each fashion designer is allowed to integrate their own visuals and DSM takes on an ultra luxe bazaar feel. For those that make it to the top floor with pocket change from a vigorous shop, Rose Bakery, the Parisian favourite is ready to serve up brunch and tea. EAT Japan is famous for its low cost, high quality food. And everyone that's travelled to Tokyo has a recommendation for the best spot they've stumbled upon. Pick a few that line up with your itinerary but don't be afraid to let the array of good smells and cosy interiors sway you to find more hidden gems. If you're looking to try some notables, Ichiran is somewhat an institution for Ramen. Serving up only one style of broth, and doing it oh so right you have the option to customise every aspect of your bowl from the softness of noodles to the amount of fat in your soup. Nestle yourself in the signature Tokyo single patron booth and order endless noodles if you're still hungry after the initial serve. For world class sushi and sashimi drop into Umegaoka Sushi No Midori, a favourite with the locals and like everything in Tokyo worth visiting you can expect to wait up to an hour and half for a table. In a tiny alley way leading from the main crossing at Shibuya is Genki Sushi, a great lunch option. High grade tuna comes whirling out on a mini train style delivery service and you can expect filling lunch for $10. Harajuku is much more than Cosplay costumes and teen subcultures; tourist hot spot Takeshita street leads into smaller alleyways lined with niche fashion houses, tattoo parlours and tiny eateries. Book ahead for traditional Japanese tattoo work at Three Tides or head to the Harajuku's outskirts for the Hatonomorihachiman & Zuienji Shrines. Yoyogi Park is within walking distance and makes for a perfect shopping break on sunny days. In it's heart you'll find the Meiji Jingu Shrine and its famous iris garden. Shimokitazawa is an eclectic neighbourhood, known for it's vintage store, street art and music live music. Devoid of large crows like those at Shibuya, Shimokitazawa moves at a different pace. Let its narrow streets lead you into a Cat Cafe like Cateriam, shop vintage Chanel at the Grand Bazar or vinyls at Otonomad. Tsukiji Shijo is a landmark visit if you love all things seafood. Heralding as the world's largest fish market, drawing in a very full audience for it's early morning Tuna auction. If lining up at 5am for a 1 in 120 chance of scoring front row views of the auction isn't for you, the market boasts an array of narrow yet deliciously inviting lanes filled with small retail shops selling catch of the day style meals and snacks. Growers and producers from various regions in Japan also sell tea, vegetables, dry noodles, knives and ceramics. With a few famous sushi shops in the vicinity, we opted to skip a sit down lunch and pick several snack from vendors like grilled miso cod sold per gram and smoked and bbq scallops roasted over coals. Roppongi is an arts and culture hub by day Mori Art Museum hosts the likes of Takashi Murakami and its rooftop terrace is the perfect platform for viewing the city. 21_21 Design Sight is Tokyo's first architecture museum designed by Tadao Ando. It's low rise, concrete walls house a fantastic interactive selection of Frank Gehry's international work. By night Roppongi's atmosphere is buzzy, pocket sized bars are frequented by tourists and locals alike and stir just beneath the surface for host clubs and other risqué business. 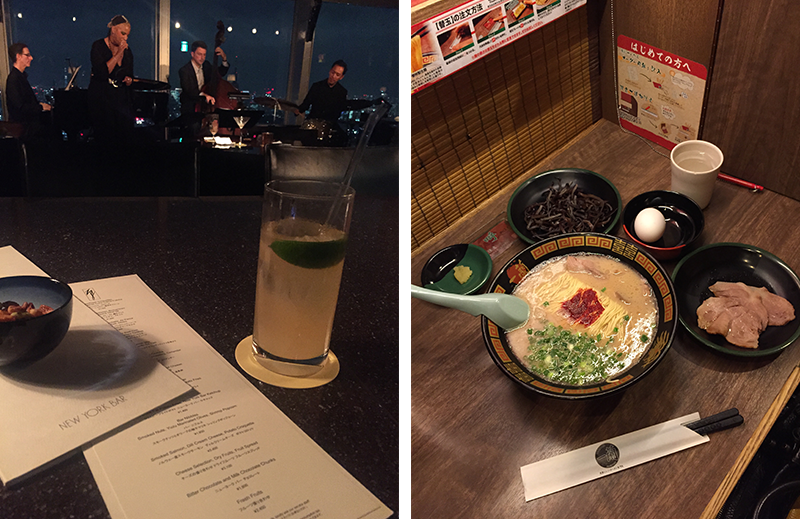 New York Bar & Ichiran Ramen; Shibuya crossing by night.